Summoning an imaginative world of percussive rhythms, Mimmo Cafiero has influenced the jazz of Sicily for more than a quarter of a century. A native of Palermo, Cafiero studied piano and sang in the chorus at the Conservatory Vincenzo Bellini from the age of 11. Teaching himself to play drums three years later, he began frequenting jam sessions, often attended by foreign jazz musicians including Ian Carr and Oliver Lake. As a member of vibraphonist Enzo Randisi's band from 1978 until 1981, he recorded two albums and toured in Spain. Accepting an invitation to join the 20-piece Brass Group Big Band in 1983, he had the opportunity to work with such guest directors as Mel Lewis, Sam Rivers, Toshiko Akiyoshi, and Archie Shepp. Performing with the Reinhardt Jazz Study Orchestra in 1984 and recording with Rai Fonit Cetra in 1987, Cafiero moved to Rome, in 1988, to teach percussion at the school of music Lab 2. During the three years that he remained in Rome, he recorded two solo albums: I Go, shortly after his arrival, and Moon and Twenty Five, featuring guitarist Kurt Rosenwinkel, in 1990. Returning to Palermo in 1991, Cafiero accepted a teaching position at the Centro Studi Musicali of Sicilian Association Musica Insieme, and formed the Open Jazz Orchestra with Sicilian musicians. Cafiero has consistently worked to strengthen the status of jazz in Sicily. He served as president of the regional committee of the National Association of Jazz Musicians, in 1991, helping to coordinate the publication of the first catalog of Sicilian jazz and producing two CDs, The Sicilian Jazz Collection. A founder of the San Vito Jazz Festival, in 1993, he remains an artistic director of the annual fete. In 1995 he recorded an impressive live album in Brussels with his tri, in 1996 toured Italy with the Joey Calderazzo Quartet and led his Open Jazz Orchestra on a tour of North America in 1999. The following year, he hosted several concerts by the Duke University Jazz Orchestra. 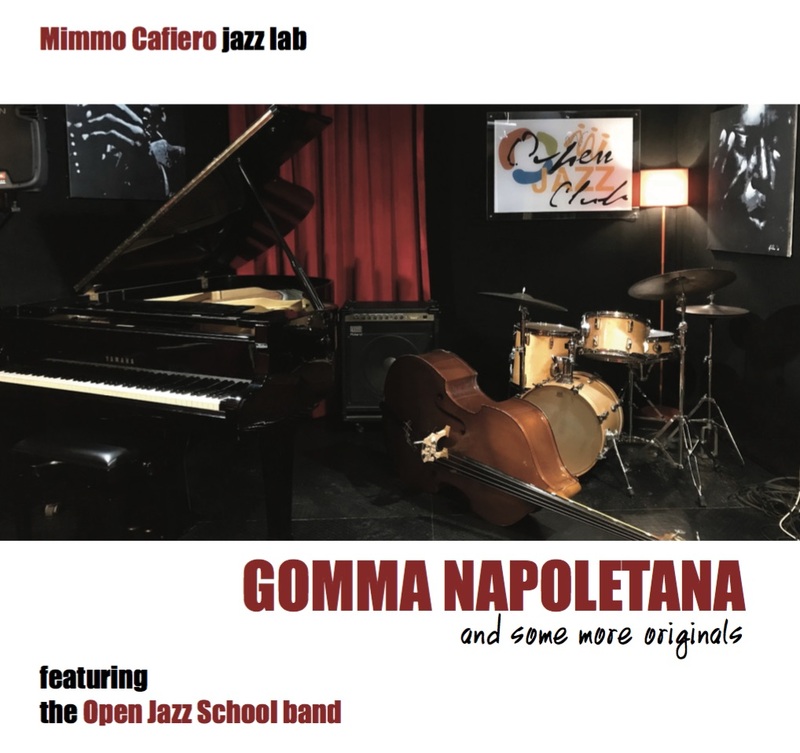 Mimmo Cafiero recorded several records with some of the most important musician of the international jazz scene, performing with them in Europe & North America. Mimmo Cafiero is a Sicilian: an Italian, of course, but also one tied to local traditions that distinguish his heritage from his fellow countrymen. (Perhaps not unlike an American hailing from the Deep South, who may [or may not] embrace a local memory and customs that complement his shared national culture.) Cafiero organized the Open Jazz Orchestra in 1992, and this recording features this somewhat amorphous group live in concert less than a decade later performing a varied set of Sicilian tunes. At the time of this recording, Cafiero had, for ten years, been the co-director of a local music school from which he recruited students and alumni for this performance. In addition, Cafiero attracted two established colleagues, pianist Salvatore Bonafede and soprano saxophonist Stefano D'Anna, each providing improvisational highlights on the album. Not all the musicians appear on every track, and the band sometimes seems smaller than it actually is. Well rehearsed and sounding professional in every way, the Open Jazz Orchestra performs Cafiero's often conventional, though sinewy and not always easy, arrangements with little apparent difficulty, the result, one suspects, of considerable preparation. While not approaching the collective virtuosity or radical charm of the more famous, non-Sicilian Italian Instabile Orchestra, the Open Jazz Orchestra does a fine job of showcasing the work of one of Sicily's important modern writers and his associates.